Jorge Alderete graduated from the National University of La Plata with a BA in Design in Visual Communication. Since then, he has enjoyed a prolific career as a designer and illustrator while also working as an editor for Korero Press and other international publishers and doing freelance animation for various television channels, including MTV, Nickelodeon, Fox and Once TV. 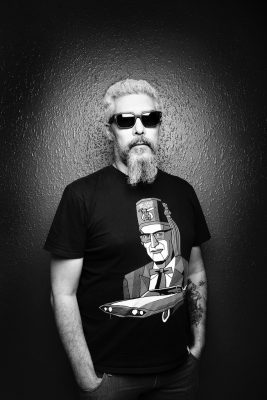 He has designed more than 100 album covers for well-known bands like Los Fabulosos Cadillacs (Argentina), Lost Acapulco, Twin Tones and Los Explosivos (Mexico), Los Straitjackets (USA) and many more. 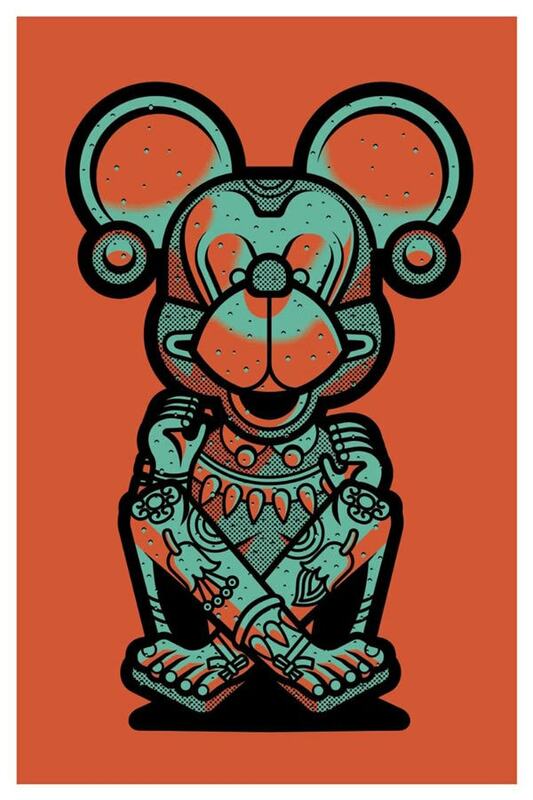 Alderete’s work as an artist earned widespread recognition when his creations were shown alongside museum pieces in a 2015 exhibition at the Museo Nacional de las Culturas de México titled Tike’a Rapa Nui y las islas del Pacífico Sur. His style is close to Pop art but draws heavily on trash culture, 1950s sci-fi films, wrestling, American underground comics and the surf music aesthetic. Dr. Alderete’s work has been exhibited at various galleries around the world and in museums, including the Museo de la Ciudad and the Museo de Arte Moderno in Mexico City. It has also been published in many industry compilations, most notably Illustration Now! (Taschen) and Kustom Graphics (Korero). He and Juan Moragues are the co-founders of Isotonic Records, a label specialised in instrumental rock.